Successfully Added DVR Security System - 16 Channel + 4 SATA Interfaces to your Shopping Cart. Our classic 16-Channel Digital Video Recorder, this security system video recorder has 16 Channels with which to record, and 4 SATA interfaces for up to 750GB's of possible storage space. The features for this item are many and varied, and each of them are very useful in keeping you and your property safe. 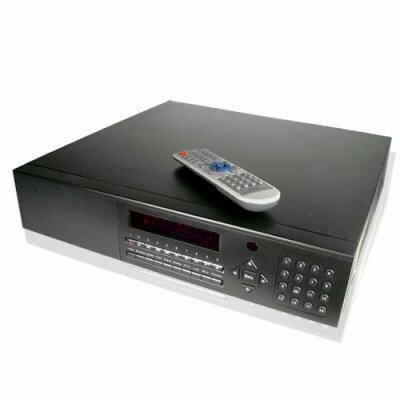 A great wholesale price makes this DVR perfect either for the resale market, OEM market, or personal/company use. The CVEDW-5116 is only available from your source for wholesale direct from China electronic products, Chinavasion. Note: This product is sold without any HDD's (hard disk drives). You should install your preferred brand and size into any one of the three primary slots. The fourth slot is designed for a CD-R or CD-RW drive. on 2009-09-22 22:08:49 DVR 16 ch worked good with Static IP. At first this unit was not working right b/c the manual was not very accurate. But eventually I got it working with Static IP. For the Dynamic IP, it only accepts the built in option which not an accessible site, I will recommend to change it to DynDns.org. This protocol is used buy a lot of people in the USA. And it will be very good sellable point. I like the real-time images, clarity is phenomenal. If you have static IP this is a good option. This unit works well, you just need to install your own hard disk in one of the bays. Nice and easy firm-ware to use.